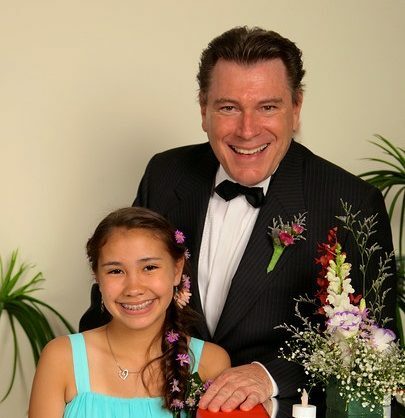 Several years ago, I was asked to design and emcee the Father/Daughter Ball at the American Club in Taiwan. An exclusive club for the wealthy and well connected in Taipei, I was not sure I was up to hosting such an event. However, when my daughter, Nicola, heard about it, she was ecstatic. I agreed to host the event and embarked on what turned into a ministry I never could have imagined at the time. As a missionary among the Chinese, and being married to one, I am quite aware of how disconnected and detached Chinese fathers can be with their children. I questioned quietly how the idea of taking their daughters to an event would go over with them. After all, it’s not a part of Chinese culture at all. However, I quickly discovered, like my own daughter, the girls saw this as an occasion to dress up like Cinderella, dance with their friends and be treated like a princess. The mothers, on the other hand, viewed it as a great way to spend special girl-time with their daughters as they helped their growing girls prepare, and a perfect opportunity also for their husbands to spend some much needed focused time with their daughters. Prior to the ball, I sent emails out to all the fathers, thanking them for taking the time and effort to honor their daughters. I reminded them, as fathers, we are the ones who model for our precious girls how they can expect to be treated by a man. I asked them to prepare three things to share with their daughter about what makes them special, and, if appropriate, how they met her mother. Needless to say, the evening was truly enchanted, with everyone having a marvelous time. That was over 10 years ago. The Father/Daughter Ball has blossomed into a ministry especially for my daughter and me. We never could have envisaged how such a unique event would allow us to develop relationships with fathers in the community, model a healthy relationship and provide a platform to speak hope and life into these men and their daughters. And now, with the publication of Be A Better Dad*, we give this excellent tool to each father after and invite them to join us for coffee as we venture together in the challenging but rewarding adventure called Fatherhood. *Be a Better Dad Today! Based in Taiwan, Tim and Naomi Gillette lead King’s Kids across most of Asia. He also heads ENCOUNTERS, an organization dedicated to fostering cross cultural and educational exchanges, and is currently being trained as a Master Mentor for The World Needs a Father.